K Cookies is focused on bringing forth cookies that satisfy your sweet tooth and are better for you! Love Each Bite of Transformation. *Specializing in Gluten, dairy, egg and junk ingredient free! (That's why we call it "The Original"
So it has a special place in our hearts. ​Hide one from everyone so you can have one for yourself. We know you love your loved ones, but they will love these just as much as you. Oatmeal Raisin has had some difficulties lasting in houses across Springfield Ma, so watch out. You'll be lucky if a dozen lasts in your house for 4 days. 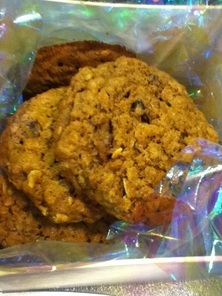 This Chewy and chunky treat encompasses all that you love in an oatmeal raisin cookie. It is just sweet enough and has become an instant favorite in the K Cookies community. And SOMETIMES love drives you NUTS, doesn't it? But you still love your honey. This macadamia, hazelnut cookie is just rich and nutty enough. With rose petals, coconut cream, and honey; Honey Nut Rose is floral and fragrant, pretty, and sweet. Pretty Sweet deal and delicate. This filling Pecan Pumpkin cookie will make a pumpkin hater convert. With a sweet and buttery maple glaze and crushed pecans on top, you will not be able to resist celebrating the season with this cookie and your favorite fall drink. A cake-like and decadent addition. ﻿​​PEANUT BUTTER- Who doesn't love a peanut butter cookie? I mean it's chewy, almost melts in your mouth and oh my goodness, where'd it go?! The only thing better may be chocolate peanut butter, but we'll save that for Reese's.. or maybe next time, and just bask in this moment. ​Sugar Butter was inspired by someone that just liked plain cookies. Plain plain plain, and that's okay, but we had to do a bit better than that so here you have it; sweet and smooooth. Not too much for the plain cookie lover, and not disappointing to the connoisseur. This one is the Creative Cookie Bakers favorite so far. ​You deserve more, so this cookie will be your cloud weight chocolate dream. With melty chocolate and a delicate flavor, you'll have just enough and you might just want more. We recommend you try it warm. This super Choc- filled cookie will have you happy you bit in. Everyone knows chocolate gives you warm, fuzzy feelings, especially in Winter and who doesn't LOVE chocolate? Hot Cacao is just chocolaty and just sweet enough. As a Hot Chocolate cookie it features melty dark chocolate, cacao powder, raw cacao nibs, and a toasty marshmallow with sweetened cacao nibs on top. 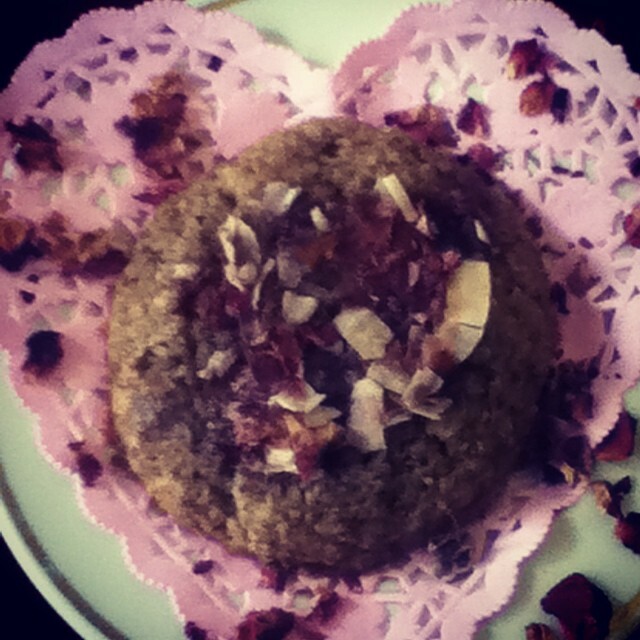 A delectable lemon and cardamon cookie with a vanilla fig mixture inside. There is nothing quite like it. Fig New--- who? Triple Ginger was made just for when you need a sweet kick. This spicy, feisty cookie has lots of flavor and attitude. Yes, it has its own personality, but it won't snap at you. It is our triple threat, ginger used in three different ways. Sweet and spicy for all of you ginger lovers out there.Ground- Crystallized, and THE ROOT! Insert message Sprinkled with fairy dust..
A cookie classic- with cinnamon and sugar together, it's so right, you CAN'T go wrong. Look for a flavor explosion that is tropical, different, familiar, and warm.